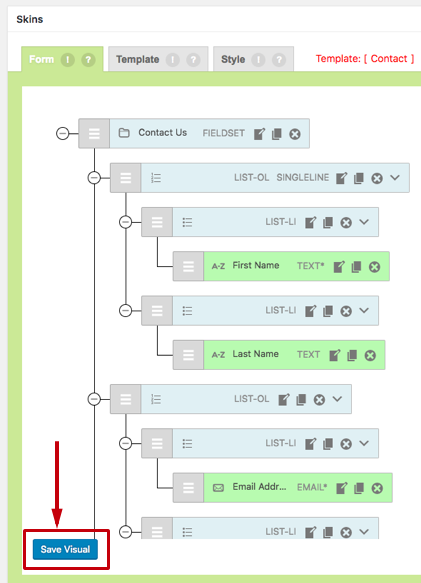 How to add a form into a WordPress post or page? / FAQ / FAQs / How to add a form into a WordPress post or page? 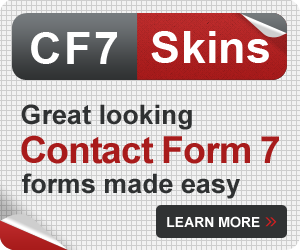 To add a form to your WordPress post/page, copy and paste the shortcode generated by Contact Form 7 into your post/page. 1. 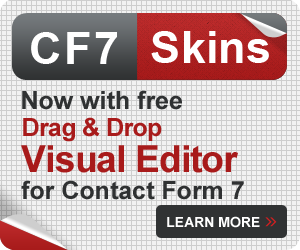 In the CF7 Skins form tab, click Save Visual. Tip: You only have to click Save Visual to save your work. You do not have to click any other save buttons. 2. 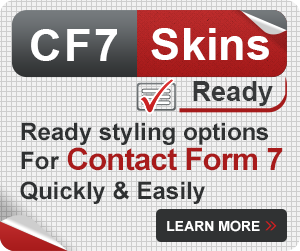 Once you save the visual editor, the Contact Form 7 form editor will be automatically updated and saved. 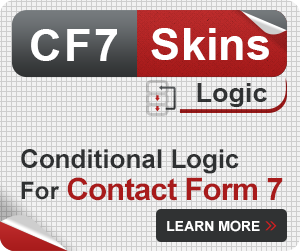 A code snippet will appear at the top of the page under the main title of your form. This is called a shortcode. 3. Highlight this code and copy it. 4. Edit the WordPress post/page where you want to have the form. 5. 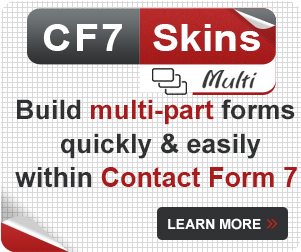 Paste the shortcode into your content where you want your form to appear. 4. After you save your post/page (for example, by updating or publishing) the form will appear on your live site.